I have been programming for one week and I have a transport module that can work for different situation now. I have released it as a MIT license so that any one can use it or do what ever they want with it. My objective is to create a truly free ERP system. But you have to start somewhere, and I have decided that the transport module could be a nice module. This module is a software that can be used to record transport expenses and to follow the cars movements. It’s not a tracking systems. but in the future I an planning to integrate it with one of this projects. the project was developed with Symfony 2; php, MySQL. you are also installing apache 2.x. It has some other advantages or benefits like Openness, a lot of features, extensibility, portability, cost, simple administration, reliability, flexibility, etc. Check out this link for some explanations. It has also some downsides or disadvantages like for instance; it’s Written By Geeks, For Geeks. That does not mean is difficult or any thing like that, but it can be twisted for some specific situations. 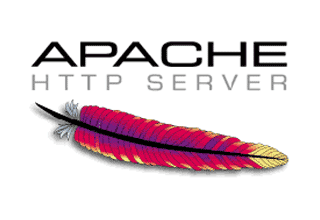 The Linux philosophy to install a software like Apache 2 is different from Windows. Windows tries to solve all of your problems at once, Linux’s philosophy is to solve only one of your problems using the best practices. Each of this ways of thinking has it pros and cons, but that is not the objective of this class, so we move on.